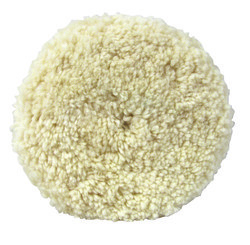 Single Sided Blended wool compounding pad used to refine P1200 and finer sand scratches and other paint surface defects. For use with 3M™ Compounds and 3M™ Hookit™ back up pads, PNs 05717 or 05718. Proven performer.